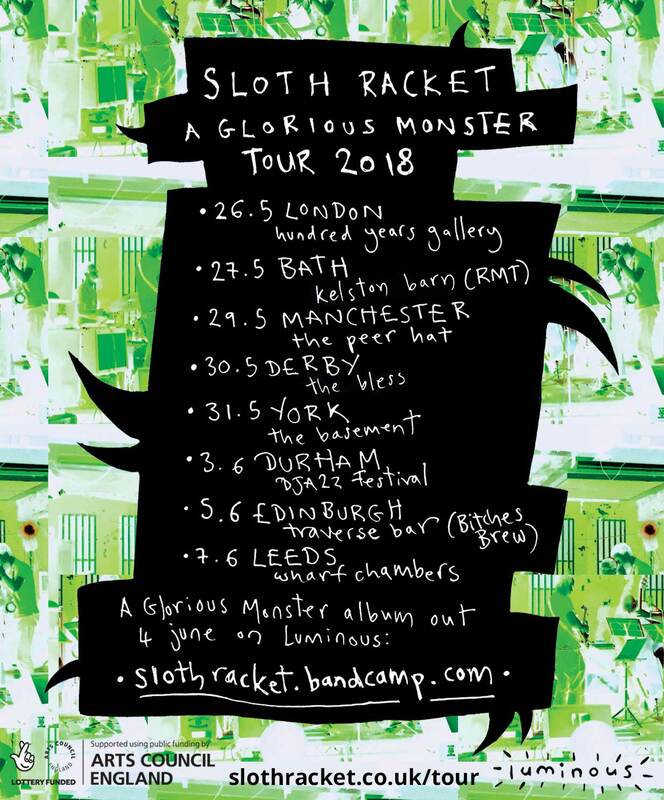 SLOTH RACKET: A GLORIOUS MONSTER TOUR 2018! Apologies…..this post demanded all caps. I’ve been working on this for a LONG time, so I’m pretty ecstatic to announce that Sloth Racket will hit the road once again this year with support from Arts Council England! It’s an eight date tour taking in some new places and revisiting some familiar sloth haunts, to celebrate the release of our third studio album ‘A Glorious Monster’ on Luminous this June. 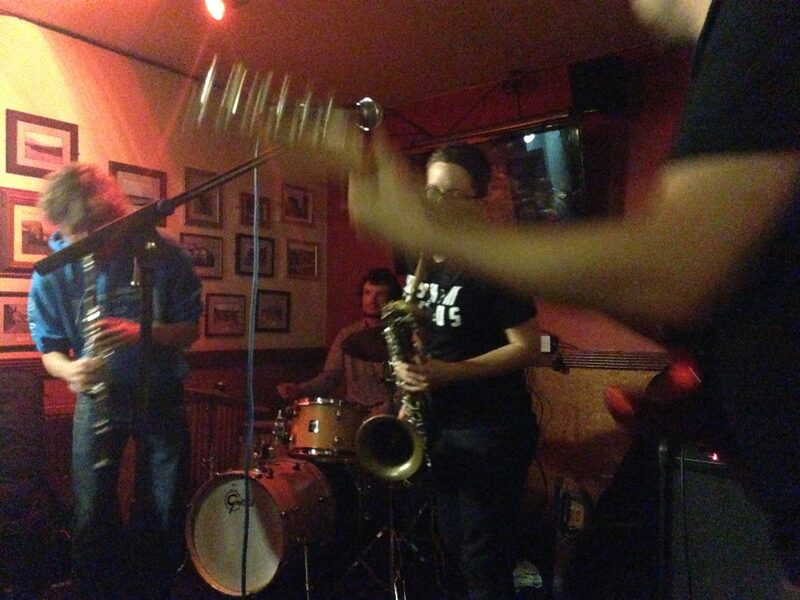 This entry was posted in Flyers and posters, Gigging, Luminous, Releases, Sloth Racket, Touring on April 16, 2018 by cath.